Launches on January 15, 2016. 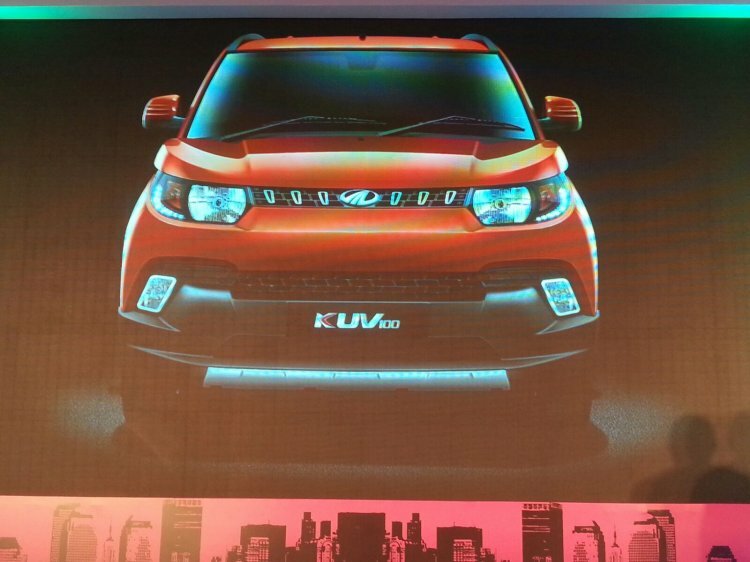 Mahindra unveiled a couple of pictures of the Mahindra KUV100 (Mahindra KUV one double-O) at the brand announcement today revealing its front fascia and side profile. The sub-4m crossover’s nomenclature stands for ‘Kool Utility Vehicle.’ The company confirmed that bookings for the KUV100 open tomorrow and the car will launch in 4 variants: K2, K4, K6 and K8. Bookings for the Mahindra KUV100 open tomorrow, with the launch set on Jan 15. The car will come in K2, K4, K6 and K8 variants. Mahindra aims to capture customers buying B-segment hatchbacks like the Hyundai Grand i10 and Maruti Swift, by providing them a car with the styling of an SUV, good equipment list, and fuel efficient engines. The car was designed in-house and features swooping headlamps, "turbine inspired" alloy wheels, muscular wheel arches and wraparound taillamps. The company said it was positioning the car as a "Young SUV" for the "kool and trendy" youth. The KUV100 comes with Mahindra's new range of 'Falcon' engines. The 1.2-liter three-cylinder units dubbed mFalcon D75 (diesel) and mFalcon G80 (petrol) have been developed by Mahindra Powertrains, its subsidiary. The dual VVT petrol engine outputs 82 bhp at 5,500 rpm and 114 Nm at 3,500 Nm, while the diesel engine produces 77 bhp at 3,750 rpm and 190 Nm between 1,750-2,250 rpm. The engine platform, it said, was new. The KUV100 is powered by 1.2-liter petrol and diesel 'mFalcon' engines. 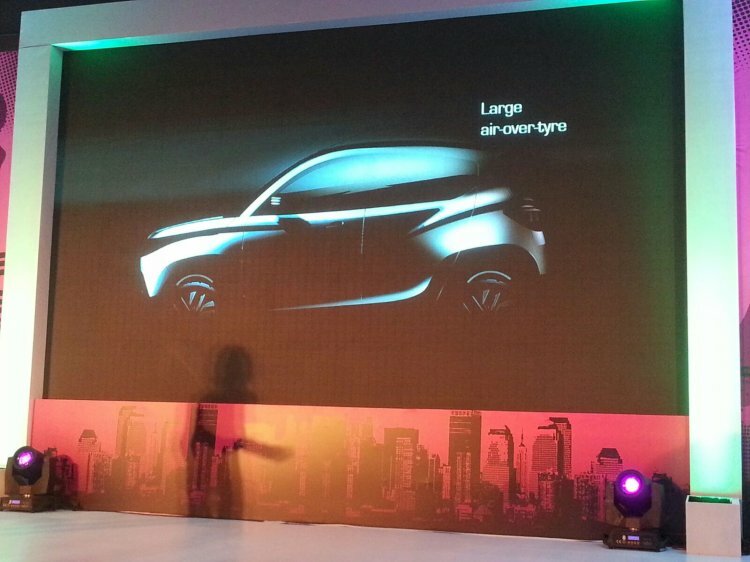 ABS will be a standard fitment on the KUV100, while airbags are optional across all variants. The vehicle will go on sale from January 15, 2016 and be offered in 7 colours.